Download MPPSC SES AE Previous Papers free pdf that is available here for free. Aspirants may get Madhya Pradesh State Engineering Service Exam Model Question Papers PDF Files on this page. Also, get the Preparation tips in addition to these Madhya Pradesh PSC Assistant Engineer Old Question Papers. Also, visit the official website of the Madya Pradesh PSC to know more info about the SES Exam i.e., www.mppscdemo.in or www.mppsc.nic.in or www.mppsc.com. And our site previouspapers.co.in provides you more Exam Papers of any Examination. Download the MP State Engineering Service Assistant Engineer Old Year Question Papers Pdf from our site. We are disclosing the MPPSC SES Asst Engineer Model Question Papers in a Pdf format. Therefore, the applied candidates can get the Madhya Pradesh State Engineering Service AE Exam Previous Papers quickly and simply. Just click on the below attachments, to find the MPPSC Assistant Engineer Previous Papers PDF. Hence, the aspirants who have the interest in Madhya Pradesh PSC Jobs. They should not miss this golden chance. Applicants can also get the Madhya Pradesh PSC SES AE Exam Pattern and Exam Syllabus updated below. Therefore the applied aspirants can check the last 5 years MPPSC Assistant Engineer Sample Question Papers that are helpful to get their dream job. Get Madhya Pradesh State Government Jobs Previous Papers updates by home page of www.previouspapers.co.in. Recently, Madhya Pradesh Public Service Commission has advertised the MPPSC State Engineering Service Exam 2017 Notification. Hence the individuals who are viewing for MP State Jobs. They have applied before the last date i.e., 15th April 2017. The Madhya Pradesh PSC has officially declared the State Engineering Service Exam Notification. This notification is for filling 74 Assistant Engineer posts in various streams like Mechanical, Electrical, Civil and Agriculture. Check the Official Notification of Madya Pradesh PSC AE Recruitment Notification 2017 to get full details. Applicants have to attend the Written Examination of both Prelims and Mains. So people who are applied for this Madhya Pradesh PSC Asst Engineer jobs need to begin their preparation as much as possible. Therefore, In addition to the Previous Year Question Papers of MPPSC SES Exam, also find the MPPSC SES Exam Syllabus and Exam Pattern. Check the Exam Pattern of the State Engg Service Asst Engineer Exam of Madya Pradesh PSC in the below table. The Madya Pradesh SES asst Engineer Exam comprise of 2 Papers i.e., Paper 1 and Paper 2. This MPPSC SES AE Exam is for 250 Marks. Total Marks of this Exam is 500 Marks. Therefore, each Question Carries 2 Marks. In this article, candidates may get the Madhya Pradesh State Engineering Service Exam Pattern. Many of the individuals are searching for MPPSC SES Exam pattern with the syllabus. For those individuals, here we are presenting the Madhya Pradesh AE Exam pattern. The exam pattern shows the nature of the written exam. Only by getting the MP State Engineering Service Assistant Engineer Exam pattern, people can prepare strongly for the exam. Applicants can also get the Madhya Pradesh PSC SES AE Exam Previous Papers at the official site also. Note down the subjects which will cover in the SES Exam of Madya Pradesh. Applicants must begin their preparation from itself now for the MP State Engineering Service Examination 2017. People can begin their preparation by downloading MPPSC Asst Engineer Previous Papers PDF Files. 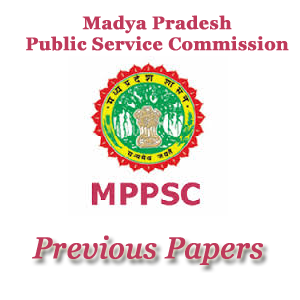 On our page, we are attaching all the Madhya Pradesh PSC Old Question Papers for free. Hence download and practice all these MP State Engineering Service Exam Solved Question Papers for proper practice. We are giving the MPPSC SES AE Previous Papers PDF for both prelims and mains exams. Therefore, we are also providing the MP Public Service Commission Model Papers with Solutions. Therefore, we are giving MPPSC SES AE Previous Papers here. Hence, candidates can find all the info regarding MPPSC AE Prelims Exam Model Papers. And solve the MP Asst Engineer Mains Exam Model papers with answers on our website. You can also refer the Official site for more MPPSC SES AE Previous Papers. The given Syllabus, Test Pattern and the MP State Engineering Service Exam Previous Question Papers are just for reference purpose. We may not declare that same questions should appear in the Asst Engineer SES exam 2017. The below sample papers consist of commonly asked questions. Visit the official website www.mppsc.com or www.mppsc.nic.in or www.mppscdemo.in for more details.